Halton Regional Council is committed to ensuring that you are informed about our priorities and the management of your tax dollars. Our Citizens’ Report 2013 provides a progress report on both. I am very proud of what we have accomplished over the past year. According to our most recent survey, Halton residents rate the overall quality of life in Halton very high at 99%, which is above the national average. Satisfaction with Halton Regional services is also very high, with 97% of Halton residents satisfied with the job that the Region is doing. Maintained a strong, sustainable financial position, including an AAA credit rating while minimizing impacts on you the taxpayer. In fact, on average, we have had a 0% tax increase over the past eight years. Increased investment in regional roads of $289 million and approved a Development Financing Plan that ensures growth pays for itself. Planning for and investing in our infrastructure is critical to ensure we can meet the needs of our growing community now and in the future, with minimal impact to taxpayers. Supported the growth and success of innovative businesses to add new jobs and promoted continued success in Halton. 894 new affordable/assisted housing units built since 2007. Launched the Halton Housing Help service providing online, telephone and in-person support for people searching for affordable housing. In partnership with our federal and provincial partners, we updated the Comprehensive Housing Strategy, Halton’s 10 year roadmap for delivering affordable and assisted housing. Municipalities receive only 11 per cent of every tax dollar. With this small amount, we provide cost effective and high quality programs and services that touch your life daily. Through our Advocating for a Strong Halton campaign, we work with the provincial and federal governments to ensure that they are our funding partners in delivering the programs and services that Halton residents have identified as a priority. You can find more information at www.halton.ca/advocacy. In 2014, we continue to work to ensure that Halton remains a great place to live, work, raise a family and retire. 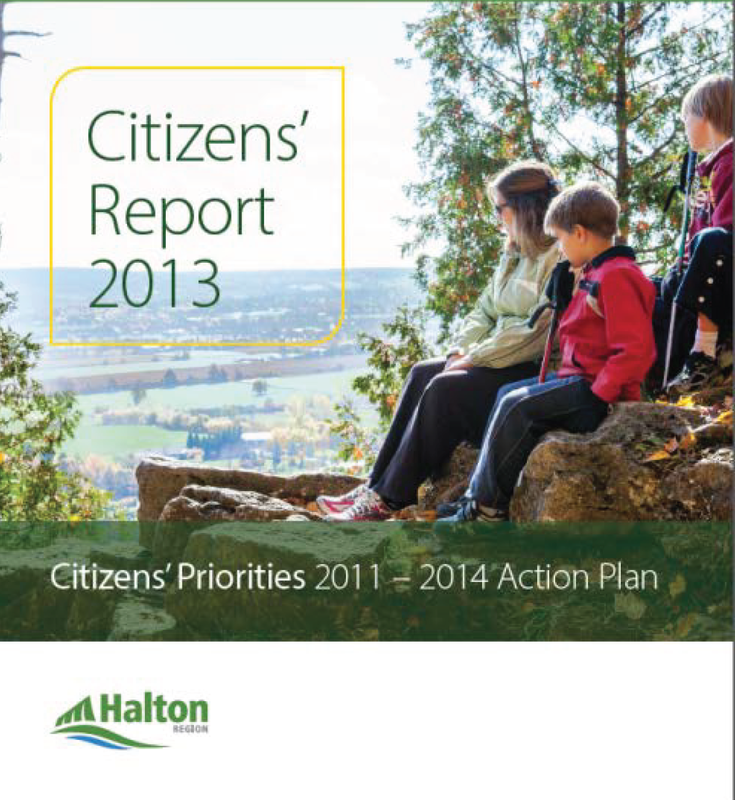 To review the 2013 Citizens’ Report as well as a list of our 2014 key actions, visit www.halton.ca/actionplan. Halton residents have one of the highest standards of living in Canada and a large part of why Halton is such a great place to live is because of the significant effort Regional Council dedicates to planning for a safe, healthy community. As you can tell by the construction across the Region, transportation and infrastructure are key priorities for Halton residents and Regional Council, as identified in The Citizens’ Priorities- Halton Region’s 2011-2014 Action Plan. Over the next 10 years, Halton Region expects to spend more than $2 billion on water and wastewater infrastructure. These investments will help reduce your commute time, expand your water supply, and ensure the health of all residents and our natural environment through our infrastructure improvement program. Halton’s Transportation Master Plan, a 20-year, $2.4 billion capital investment plan will support growth in the Region to 2031 and ensure that transportation improvements are in place to meet demand. By the end of 2016, the Regional road network across Halton will have grown to 1,087 kilometres of lanes. In addition, 217 kilometres of shared or dedicated on-road bike lanes and off-road multi-use pathways will have been provided as part of the Region’s Active Transportation Master Plan. Construction is a critical component of supporting the water service, wastewater collection and transportation needs of our growing community. Over the next three years (to 2016), whether you’re impacted by the $430 million Regional investment in road improvements in the Town of Milton and Town of Halton Hills or the $300 million investment in road improvements to the Dundas Street corridor in Oakville and Burlington, we appreciate your patience as we continue to implement the plans that support our great communities. For details on construction projects on what’s happening now and what’s planned for the Region’s busiest construction areas, visit www.halton.ca/construction to sign up for our e-newsletter. On August 1, I joined Mayor Rick Bonnette and crowds of shoppers in helping celebrate the opening of Toronto Premium Outlets in Halton Hills, a new retail complex that will bring visitors from all over the Province. Toronto Premium Outlets is a 50/50 joint venture company between Simon Property Group, Inc. and Calloway Real Estate Investment Trust. This is the first Premium outlet in Canada, and new home to 85 stores including: Banana Republic, Bench, Brooks Brothers, Calvin Klein, Coach, Cole Haan, Hudson’s Bay Outlet, Hugo Boss, J.Crew, Kate Spade New York, Michael Kors, Polo Ralph Lauren, Restoration Hardware and many more. According to the launch organizers, the Halton Hills Grand Opening was the most successful Premium Outlet opening in North America in terms of revenue dollars and number of shoppers. Halton is home to over 12,000 active businesses and I am proud that Toronto Premium Outlets have chosen to call Halton home. 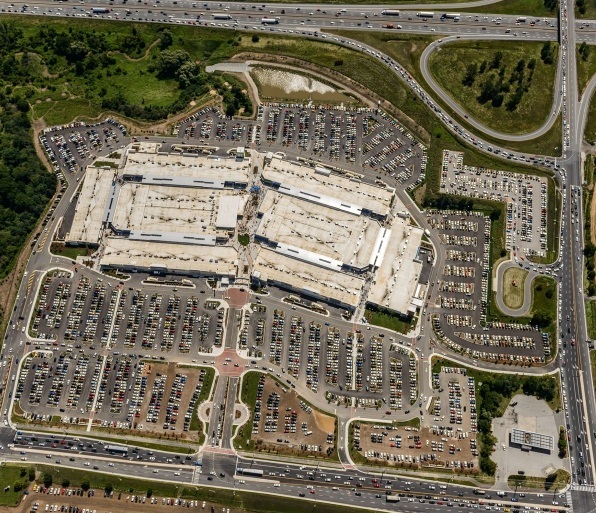 About 800 construction jobs were created to build the mall which will employ 500 people on an ongoing basis. This new endeavour will also boost Halton’s tourism market, offering Shop and Stay packages sure to attract visitors to Halton who otherwise may have driven across the border. Halton Regional Council is committed to promoting a strong and healthy economy where businesses can thrive and prosper. One of the priority areas identified in the Region’s Citizens’ Priorities Action Plan is Attracting and Retaining Jobs. To help achieve this goal, Halton Region’s Economic Development Strategy was formed and serves as an essential component to improving employment opportunities across the Region and creating economic prosperity. 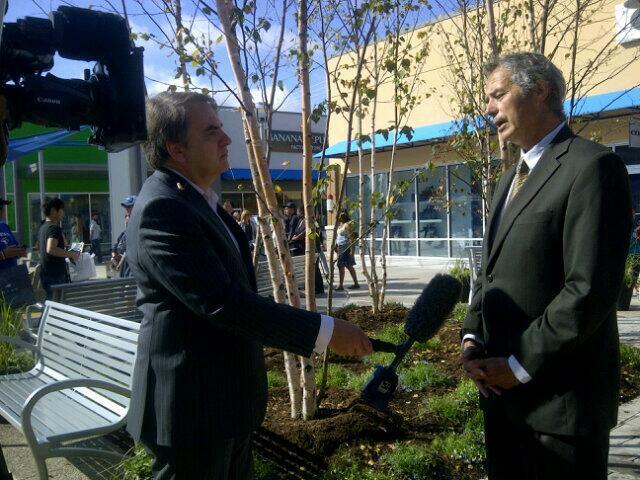 Region is proud to have Toronto Premium Outlets as part of our community. Together we make Halton a great place to live, shop, work, raise a family and retire.